SYNOPSIS: Growing up in Pennsylvania can be tough. Add in having a Jewish mother and a not-Jewish father, a sociopath friend who blurts out disgusting vulgarities, and the ability to blend in to any school clique while belonging to none and you've got Greg Gaines. Greg only has one more year of hiding- I mean, school- left, and its his year. Until his mom tells Greg that his ex-fake-girlfriend-turned-friend has cancer. Greg, thrust back into this relationship must find a way to re-friend her while surviving his last year. Can he do it? Now, wait. This does not mean I no longer like realistic fiction books. I LOVE them! Especially a cancer one (Ahem... Before I Die, The Fault In Our Stars....)! But this... This was cheap. Right away, its clear this book is just one long, impersonal monologue about a boy. I found it funny at first, but I was quickly annoyed with the crappy timing of info, the impromptu "scripted" scenes, and the cheap jokes. I could not stand to read another chapter! However, I do not think this is a bad book. I just wish it was written in a different way. Its a good premise, and was rolling along at a good pace. I was fed up with having to deal with the writing being more like a dictation than writing. I don't discredit this book. 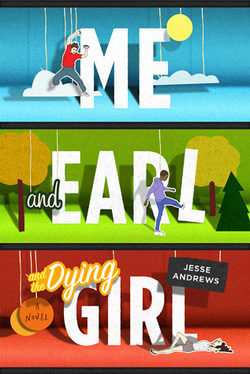 Its an easy read, funny for some, and deals with death in a light, humorous way while not making light of it. It just didn't rub well with me. 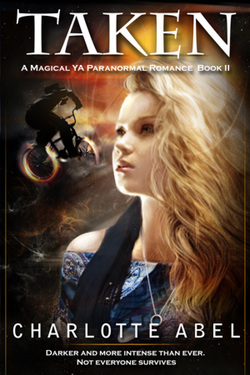 SYNOPSIS: Sonnet Gray is 18 years old, and is tired of moving around with her family. Her family, however, doesn't just move locations. Her mismatched "family" are all Lost, special people who randomly jump throughout time, never knowing when they'll leave their current era or where they'll end up. Sonnet only has her dad left as her real family, and then all the other people who are Lost like them. Her mother committed suicide, and her sister, Rose was left behind somewhere in the fifteenth century. Sonnet her her family have landed in the twenty-first century, and begin the process of blending in and surviving. Sonnet takes up a job as a barista to help feed the family, and plays her guitar in her off-hours. She meets other Lost too. Emme, a woman with a questionable line of work, and Israel, a young doctor. After one of Sonnet's performances, she meets Luke, a normal photographer, and begins to fall hard for him. How can she fall in love when every night, she and her family could wake up in a whole new place? Ghosts and new people lurk around every corner. Who can be trusted? REVIEW: Unfortunately, I got busy and put the book down for a few months. This wasn't the book's fault! I also loved that the dad was an alcoholic, trying to cope with the loss of his wife and other daughter. I'm a sucker for a dark realistic element. However, the first part of the book was slow. No real action or drama, just average. Afterward, the plot twists started coming and it got much more interesting. I was enthralled! I get finicky about character descriptions. They need to be done early and thorough, or not at all, because the reader will have gone on to create their own image in their mind. I complain most about Israel. I never got a clear image of the tall, African-American man. Not that I am a racist, but its harder for me to picture other characters of a different ethnicity, or to maintain the image. All in all, a good book to curl up to. Give it a chance and you'll be hooked, wanting more at the end! SYNOPSIS: On the run from the Veyjivic clan and their trackers, Channie, now without her powers, and Josh stay out of sight while Josh has the chance to practice his new-gained magic. Found to be a descendent in the enemy Veyjivic clan, its up to Josh "Valor" Abram to save the world, all while still strengthening his heart-bond with Channie! Can Channie and Josh be a great couple while being chased across the states? REVIEW: Abel does it again! Normally, I can't stand books with southern influence in them. Take Shiloh for example. I just couldn't read through the thick-accented book! Taken, however, doesn't let the southern influence ruin the book. It's also hard for me, a Northwestern-er, to understand Southern-ality, BUT this book manages to keep it fun, and doesn't sacrifice itself! I've never read an e-book this amazing! I started the series believing it would be ok, but I've been spellbound ever since. The book keeps moving, it's action-packed with twists and turns, and great characters. You'll laugh, cry, and find yourself on edge wanting more! 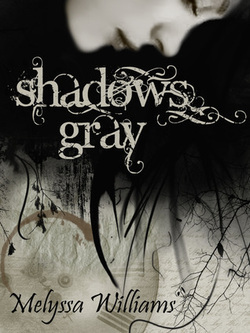 More than just a story about historical grievances between magical clans (Ahem, Nightshade), it has dark, realistic fiction that makes you weep! It has love so pure (but not too mushy)! It has a plot that continues to unfold with every page, never obviously. If I had one complaint, I would say that some of the scenery descriptions are lacking. Its a fine line between lacking and becoming the next Steinbeck. I had trouble picturing the first scenes in the book, and that was hard to fill in the blanks. Ok, I have one last issue: No recap from book one! This can make or break a book for me. Like Insurgent; I waited a long time to read it, and then when I go to read it, I have no clue who everyone is, where we are, or what's the problem! I had forgotten why Channie and Jossh were hiding in the backwoods, or how Channie lost her power,etc. Eventually, I remembered, but I'm finicky about this! All in all, a spellbinding read that is like a roller coaster ride. I can't wait for book 3! SYNOPSIS: After being ripped from the 75th Annual Hunger Games, Katniss Everdeen has awoken in "non-existent" District 13. The Capitol is at war with its districts, and Katniss has found herself as the face of the rebellion. No one is safe in the final installment of the trilogy. REVIEW: This book deserves two different stars. For the first 3/4 of the book, it gets 4 stars. For the last quarter, it gets 2!!! HEED MY WORDS. NO ONE IS SAFE. After a boring Catching Fire, this is the action plus that book 2 needed! So many quick changes, the book just keeps rolling on! See, this time, it was more about ending the trilogy. It was time for characters to diverge from the path of Katniss (or not...), and that kept me on my toes. A bomb here, a death there, a fire above! 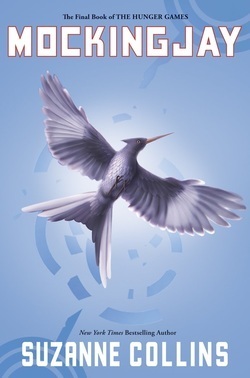 The other books in the series haven't always focused so internally as Mockingjay. 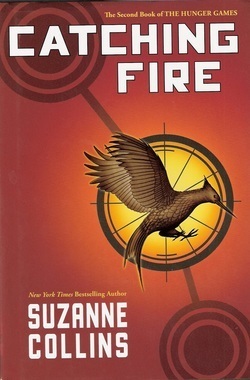 For some reason, Katniss just begins to lose her mind in this book, and delves into her mind. I really didn't like seeing the fiery Katniss all hunkered down in bed, out of her mind on morphling. Not good. This is a hard book to discuss due to so many cliffhangers and suspenseful, glorious details. Its definitely fast-paced and great, but abrupt and almost as if Collins wanted to get the series over with. It ripped off my veil of censor-y that most authors have, not killing protagonists and close supporting characters (I never said anything...). A good, slightly unsatisfactory way to end the series. SYNOPSIS: Victors Katniss Everdeen and Peeta Mellark have been enjoying the riches of their spoils after surviving the 74th Annual Hunger Games together. With the Quarter Quell approaching, everyone is wondering what the Hunger Games will have in store. Double the tributes? Adults fighting? No. The Victors will fight again. Katniss and Peeta must now return to the Capitol for the preparations all over again. How will the "star-crossed lovers" survive again? REVIEW: Many people think that Mockingjay was the worst of the Trilogy. I disagree. I love a good dystopian as much as the next fanatic, and I was thrilled and heartbroken to hear they were going back. I love to read the description of such interesting utopias and technology. What I didn't like was the arena. Right off the bat, I could never get a clear mental image of the arena. No amount of Google images could help me see it! It especially was annoying when it came to the "theme" of the arena. And do NOT get me started on the characters! I have one MAJOR pet peeve when it comes to character descriptions: do it early or NOT AT ALL! To start adding details to the characters when the book is halfway done is a horrible way to write. By now, I've come up with an image of what the character looks like in my head (or had to create one) and for you to mess that up is awful! Otherwise, the book was another great action-packed story, even if it seemed weaker than the rest. If you like Katniss is she was when the first book ended, stop the series, because she really isn't who we as readers believed her to be.